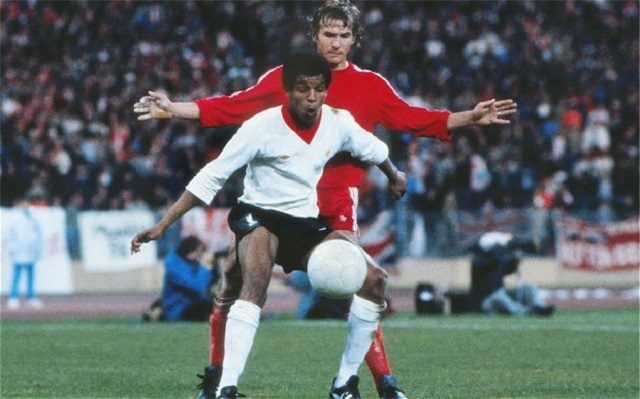 Liverpool trailblazer rejects MBE claiming it would be a "betrayal"
Howard Gayle, who was the first black footballer to play for Liverpool in the modern era, has rejected an MBE award. The Toxteth-born born forward/winger played for us between 1977 and 1983, picking up a European Cup medal in 1981. He spent the last two seasons of his Liverpool career on loan at Fulham and Newcastle, before going on to represent Birmingham, Sunderland, Stoke, Blackburn, and Halifax in the rest of the 1980s and early 1990s. He rejected the honour of the basis of his work with the Show Racism the Red Card campaign. “Most of you who are on my FB page are aware of the work that I do tackling racism and the work I do for Show Racism A Red Card. And for that work yesterday I was nominated for a MBE,” he wrote. “I had to decline the nomination for the reason that my ancestors would be turning in their graves after how Empire and Colonialism had enslaved them. “This is a decision that I have had to make and there will be others who may feel different and would enjoy the attraction of being a Member of the British Empire and those 3 letters after their name, but I feel that It would be a betrayal to all of the Africans who have lost their lives, or who have suffered as a result of Empire.” (via BBC). He joins a long list of people who’ve rejected various honours, including David Bowie, Dawn French and Jennifer Saunders, LS Lowry, and John Lennon.